Imagine a view that so very few people in the world have experienced. You see the photos, hear the stories and know they just do not give justice as compared to soaking it in yourself. Life amongst the forest – experience, learn and appreciate. The greatest appreciation for anything in life is developed by experience. At the center of operations is a commitment to a no trace policy, non-invasive methods to ascend the trees and our very best efforts to leave the path and trees exactly as we found them. Though the absolute climax of the tour is the view from the canopy, our tours leave a lasting impression and heightened sensitivity for our old-growth forests and environment; an experience, we hope, that will carry on for a lifetime. Experience the forest, soak in the views and write your own story. Check out some of our partners and affiliates. EOG takes pride in collaborating with local, national and international organizations who share a similar passion for our trees, forests and environment. ﻿Oregon Tree Care represents the pinnacle in professional tree care. ISA Certified Arborists and an arborist team who actively participate with industry organizations, staying abreast of the most current techniques and information. Licensed, bonded and insured. Share the canopy. Save the forest. Bring people into the forest canopy, and the canopy to the world, through expeditions, education and research. Goals: Educate the public, Learn about the forests, Conserve by inspiring wonder and awe.  ​﻿Ascending the Giants is a non-profit organization that produces an ongoing series of expeditions to measure the largest tree of each species. These trees demonstrate the pinnacle of what a species can be; they are called champion trees. Based in Portland, Oregon. We are creating living libraries of old-growth tree genetics by cloning these old growth trees through traditional and advanced horticultural propagation for the purpose of future research and functional reforestation. 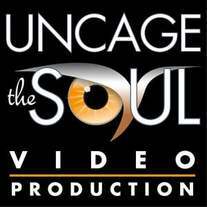 Uncage the Soul is headquartered in Portland, Oregon and specializes in unique, dynamic, and cinematic storytelling avenues to expand your vision and use our passion to challenge the impossible and deliver the unexpected. 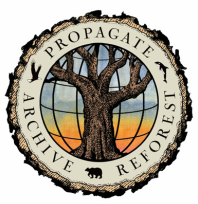 A British Columbian organization working to protect the endangered old-growth forests of BC and to ensure sustainable forestry jobs in the province. Working to inform and mobilize the general public and key stakeholders to protect ancient forests and forestry jobs. Opal Creek Ancient Forest Center maintains and stewards Jawbone Flats, a rejuvenated historic mining town in the heart of the 35,000-acre ancient forest watershed of the Opal Creek Wilderness and Scenic Recreation Area.